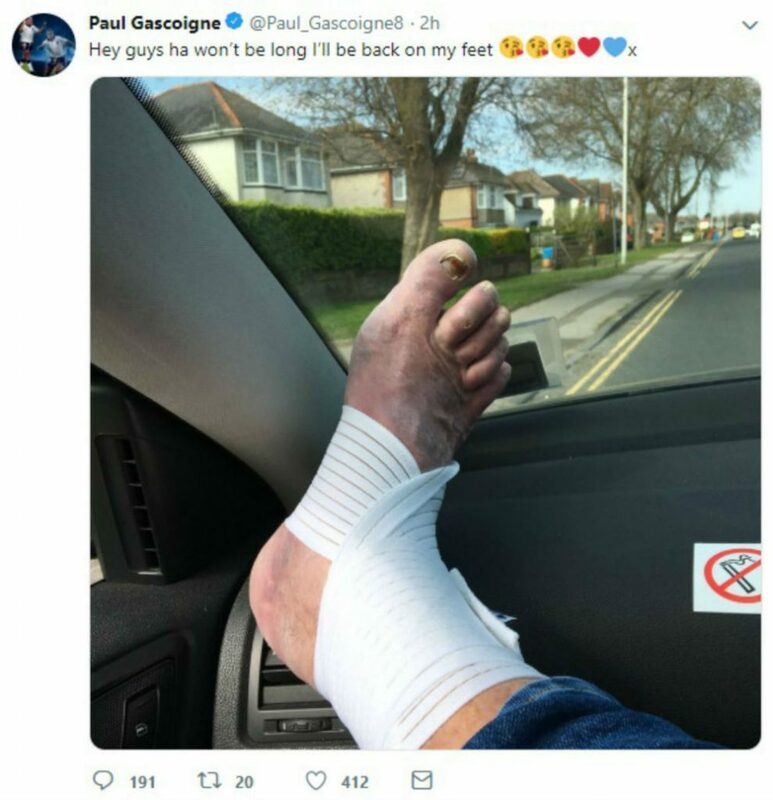 Paul Gascoigne has shocked followers after he posted a photo of his right foot after the injury he suffered in the Tottenham Hotspur charity match. Gascoigne suffered an ankle injury in the match against Inter Milan at the new Tottenham Hotspur Stadium on March 30th. 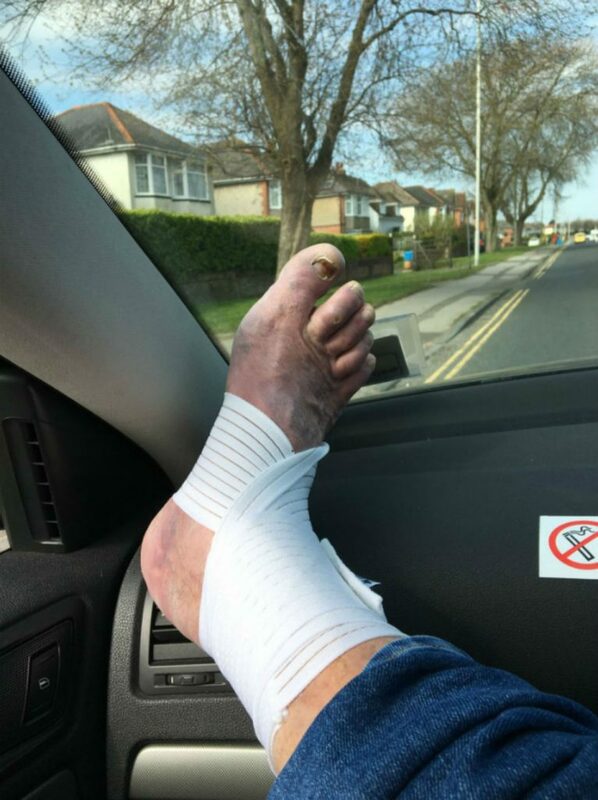 The foot which also finished the infamous Euro 96 volley against Scotland has gone complete blue as the footballing legend recovers from his injury. The image shows the England footballer’s right ankle wrapped in a bandage as the rest of the foot appears to be bruised blue. The image has horrified many fans with some questioning the legend’s hygenie. The injury is believed to have been a result of the charity match against the Inter Milan legends team two weeks ago. Gazza was a second half substitue for Tottenham Hotspur when he came on at the 53rd minute. 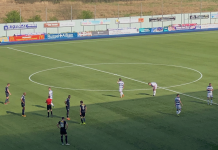 However, through injury he was forced off on 70 minutes.